America’s third largest residential solar provider, Vivint Solar, announced its second-quarter earnings report this week in which it posted solid installations and installations but missed analyst expectations on earnings and revenue. At the same time, however, the company also announced the closing of an industry-first financing vehicle worth $327 million that is intended to make way for approximately 95 megawatts (MW) worth of future solar energy installations. Vivint Solar announced its second-quarter earnings report on Tuesday, revealing that the residential solar company installed approximately 47 MW across 6,678 solar installations through the second quarter and took in further bookings of 64 MW. The company has therefore now installed a total of 952 MW worth of solar. Looking at Vivint Solar’s performance from an installation point of view, the second quarter was quite strong, with installations increasing by 17.5% on the first quarter and installing the same amount as the second quarter a year earlier. Cost per watt for installations through the second quarter was $3.11, a decrease from the $3.15 recorded through the first quarter and an increase from the $2.88 recorded in the second quarter of 2017. However, total revenue for the quarter missed analyst expectations, hitting $80.8 million for the quarter — up 11% year-over-year and up 18% over the first quarter, but missing expectations by $8.5 million. Similarly, the company posted a -$0.50 per share net loss, down by $0.30 on expectations. “I saw the progress we’ve made over the past year is compelling and we completed a memorable quarter consistent with the goals we set and the guidance we provided,” said Vivint Solar CEO David Bywater to investors in their quarter earnings call. “The second quarter further validates the success we are having in our strategy and roadmap to be the most appealing best run residential solar company in the world. At the same time, Vivint Solar also announced that it had closed an “innovative multi-party forward flow funding arrangement” worth $327 million and expected to have a total aggregate value of around $410 million. 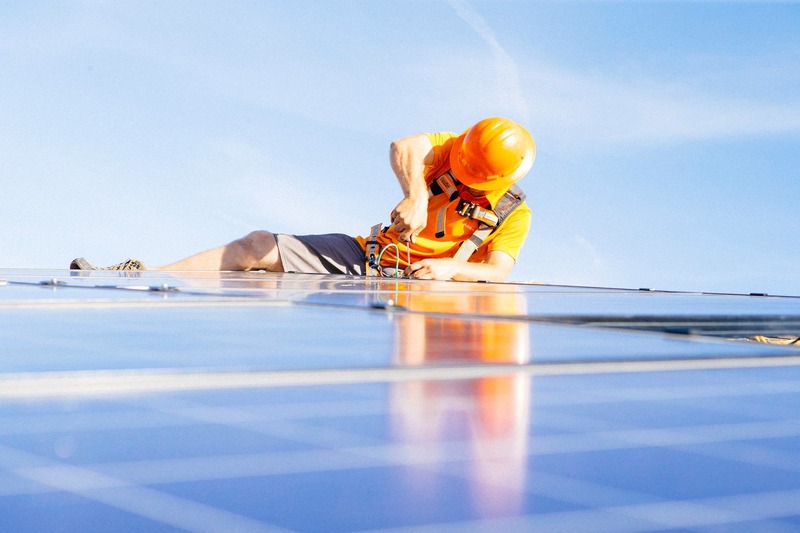 The transaction is intended to generate upfront cash margin for Vivint Solar so it can develop approximately 95 MW worth of future solar installations. Bank of America Merrill Lynch served in multiple roles for the transaction including acting as sole structuring and placement agent for the cash equity and multi-draw term loan. The move comes only days after Vivint Solar announced that it was expanding its residential services into Illinois and that it had partnered with an unnamed leading American homebuilder in preparation for mandated rooftop solar systems in California.